Welcome to the Chess At Three “Talking Better with Our Kids” Blog Series. We’ll be posting 3 blogs the first three Mondays this month. Each blog will address common issues parents and teachers face when talking to kids. Win Chess At Three for your home! We’re calling for readers to participate in the blog series as well! 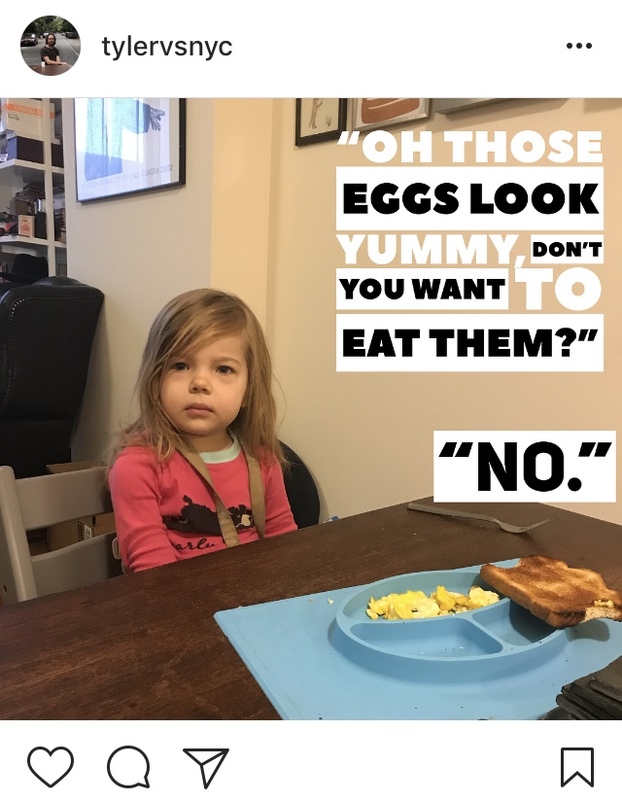 Just read the blog, and make an instagram or Facebook post about the subject, in this case: asking your child questions that put them in charge. Then Tag @chessat3 and use the hashtag #tbwok. Each Friday we will pick our favorite posts. There will be 2 prizes awarded each week: 2nd place gets a free chess board and chess pieces mailed anywhere in the USA, and 1st place gets a free Chess At Three Curriculum for their home, and a chess set! So let’s talk to our kids better, and have some fun while doing it! Are modern parents in charge? Picking up my two-year-old daughter from daycare is war. My family lives in Brooklyn, where everything is crowded: our apartments, the subway (both the popular sandwich franchise and the mode of public transportation), and our daughter’s daycare. Life in New York is done in close proximity to your fellow man or woman. The pick-up area at my daughter’s daycare is especially tiny—about the size of two or three phone booths. The space can only accommodate two parents getting two children ready to go home: putting on shoes, hat, and scarves while talking to teachers about their day. If you arrive and see two parents already in the pick-up area, you’re forced to wait outside until they are finished. You must have battle plan in this pick-up area. It is not a place to dawdle around or casually socialize. You get in, and you get out. The other day, I arrived to pick up my daughter at the same time as another child’s mother. No other parents were there, so the two of us hurried into the pick-up area and began getting our daughters ready to go. A third parent arrived, but since the pick-up area was already full, they were forced to wait outside. Now this mother and I were on the clock. It would be polite for us to hurry as there was someone else waiting. There is a little bench that is perpendicular to door to the school. The mother and I had placed our daughters on the bench, and we were in the process of putting on their shoes. I would have asked my daughter the same question, but she had just gotten new shoes that had laces and zippers. There was no chance of her being able to put them on herself, no matter how much time she was given. So I bit the bullet and did it for her. After 30 precious seconds, I had managed to put my daughter’s first shoe on while the younger girl next to us was still trying to find the opening of the first sock. A fourth parent arrived outside. A line was starting to form. The mother realized her daughter had made zero progress and squatted back down. The mother shot back up to the standing position and adopted a, “Well okay, Miss Sassy Pants, I tried—nothing further can be done here” attitude. I shoved my daughter’s second shoe on, and we were finally ready to go. I wished the mother and her daughter a good night as I squeezed past them and let the next parent in to pick-up their kids. This mother, the two parents waiting outside, and their two children inside were all waiting because of the decision of a little girl. That’s 5 people’s lives being inconvenienced because of the whim of a 2-year-old. Something isn’t right. Modern parents are asking their children a lot of suggestive questions rather than issuing commands. Can I help you with your sock? Your diaper looks wet—do you think it would be a good idea to change it? You don’t want to watch Moana again, do you? It’s very weird when you stop and think about it. Maybe this would be a good parenting strategy if it ever actually worked, but it never does. Children never want help with their socks. Children never want to change their diaper. And they will always want to watch Moana again. Always. Yet we continue to ask. Why? And what effect is it having on our children? Are we parents? Are we in change? Then why are we asking our kids so many questions? This strategy of asking our children permission is a result of our care for our children. The problem isn’t one of neglect; this mother was not on her phone checking to see how many likes her latest Instagram post received. This was not some “Power Mom” with a bluetooth in her ear, yelling at an intern for getting her coffee order wrong again that morning. This mom was on her parenting game! Unfortunately for her, she was the one getting played. What are we doing when we ask our children permission for things? I believe we are trying to turn domestic unplesantries into educational moments—by attempting to get the child agree with our very suggestive line of questioning. Me: Your diaper looks full. Don’t you think it’s a good idea to change it? Me: Well, don’t you think it will feel so much better to change it? Me: Well, I’m sorry, but I think I have to change your diaper. On paper, this approach actually sounds pretty brilliant. You draw attention to an obvious problem—a wet diaper—and offer help down the easiest path to solve that problem: changing the diaper. In many scenarios, this approach works well because it allows children to discover the world on their own. For instance, in many Montessori schools, the children and the teacher make the rules of the classroom together, using very similar language tactics. Teacher: Okay class, let’s think of some good rules to keep our classroom safe this year. Do you think it’s a good idea to hit our friends? Children: No, that would hurt. Teacher: You’re right, hitting hurts. So do you think that would be a good rule for our classroom? Children: That’s a great rule. Brilliant! Now every time a child hits another child, you can refer them back to the rule they decided upon. This will make class discipline easier as the rules will carry more weight with the students because they are the rule’s author. The “self”-generated idea is so prevalent because when used appropriately, it’s powerful, caring, and respectful of a child’s development. We will talk more about when to ask children questions later, but for now, let’s get back to the diaper dialogue. Your diaper looks full, don’t you think it’s a good idea to change it? What did you actually think the 2-year-old was going to say when you asked them if they wanted to change their diaper? I’m being a bit silly, but the point remains clear: A two-year-old isn’t mature enough to comprehend what is being asked, and the wet diaper isn’t a strong enough sensation to motivate her into stopping what she is doing. But we don’t care—we actually double down by asking the question again! Notice that this is still phrased as a question—a thin candy-coating of a question around a suggestive peanut center. A question that appeals to the feeling that the child still doesn’t care about: a wet diaper. The child is frustrated—and they should be! You would be, too, if someone asked you the same question twice in a row. This statement actually admits to the child the parent did something wrong—“I’m sorry.” And it feels natural to apologize because you just asked your child the same “question” twice in a row, and it didn’t go the way you wanted it to, and now you have to change tactics. The new tactic is this: I’m the “bad guy.” Do what I say. Now don’t get me wrong, children do not like this—but they respect it, and they need it. It’s much closer to the role parents are meant to fill—the role of authority. The parent still isn’t comfortable moving into their own authority, or maybe they don’t want to be the “bad guy.” So they throw in that little insurance policy phrase, “I think”—just in case the diaper is miraculously dry. And thus, the last line of parenting defense is activated: physical enforcement. It no longer matters what you think, it doesn’t matter what you feel—this is happening because I’m physically stronger than you. This habit of asking children suggestive questions in place of commands is a deep and sticky habit for many of us. Modifying such subconscious behavior is very ambitious. 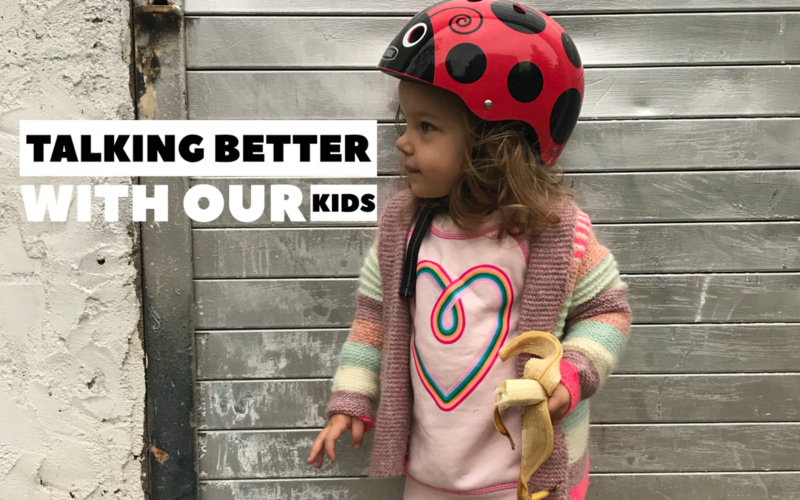 So in the first part of our “talking to your kids better contest” we are not trying to change anything, we are trying to become aware of the habit. That’s it! In the second part of our contest, we will learn “magic words” to replace those annoying questions, but for now, we should just take inventory and be aware of the habit when it happens. We want to make your experience of recognizing this habit playful, fun, and not judgmental in any way—especially since we’re not trying to modify our behavior at this point, we just want to be aware of it. Just put the question you asked your child in the caption, tag @chesssat3 and #tbwok. I used a fancy app called “TypiMage” to put the question on the photo, feel free to use it too if you want to be fancy! Chess At Three will pick our favorite posts on Friday! Have a great week everyone!